Thanks to your feedback, Swimia has develop into in just many months one the most essential internet sites of swimming pools. 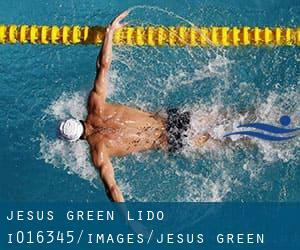 Here you've got all the info we know about Jesus Green Lido, in Cambridge. Don't neglect you can also promote this pool so Jesus Green Lido will appear the first of Cambridge, or perhaps the very first of your country, contact us to know a lot more. Swimmers like you reported 100 yards x 45 feet, 1.2 meters - 2.5 meters depth, 1.2 meters - 2.5 meters depth, Outdoors. Phone number and e-mail address are number for this Swimming Pool. 21/25 Coldhams Lane Business Park , Norman Way , Abbey , Cambridge , England , UNITED KINGDOM (Postal Code: CB1 3LH). Among all the activities provided by the centre, if you are thinking about swimming you will delight in 25 meters x 10 meters, Indoors. Just in case you want to contact this Swimming Pool before dropping by, we only know the phone number.